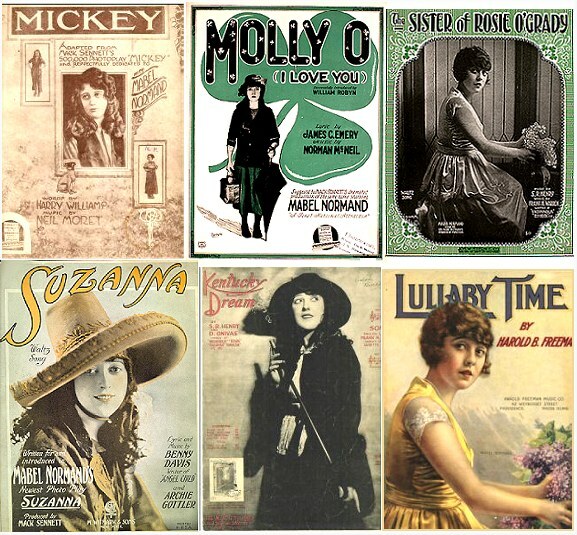 Mabel Normand was the greatest comedienne of the silent screen era. 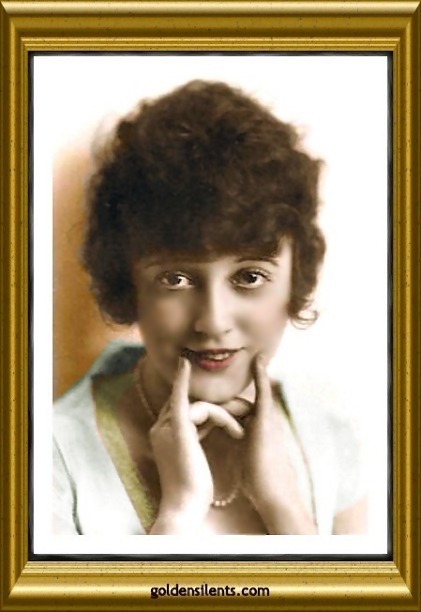 She was born Mabel Ethelreid Fortesque in Atlanta, Georgia, the daughter of a poor vaudeville pianist, on November 10th, 1892. The family moved to New York when she was a baby. Mabel was convent educated in her early years at St. Mary's in Northwest Point, Massachusetts, so she certainly did know how to read, contrary to rumors which were started after her death. Those nuns made sure you could read and write, or the rulers would come down on your hands! 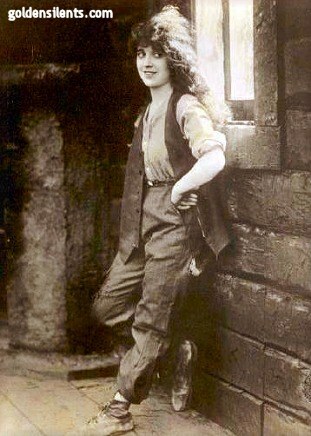 To earn some extra money to help support her struggling family, she left school and became a model at age fourteen for several prestigious photographers and illustrators, including James Montgomery Flagg, the Leyendeckers, and Charles Dana Gibson. 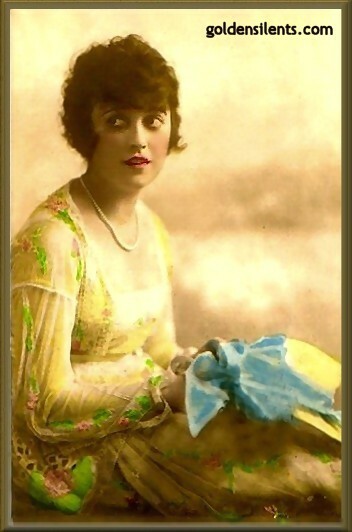 She did stints as a chorus girl for musical shows in New York City. 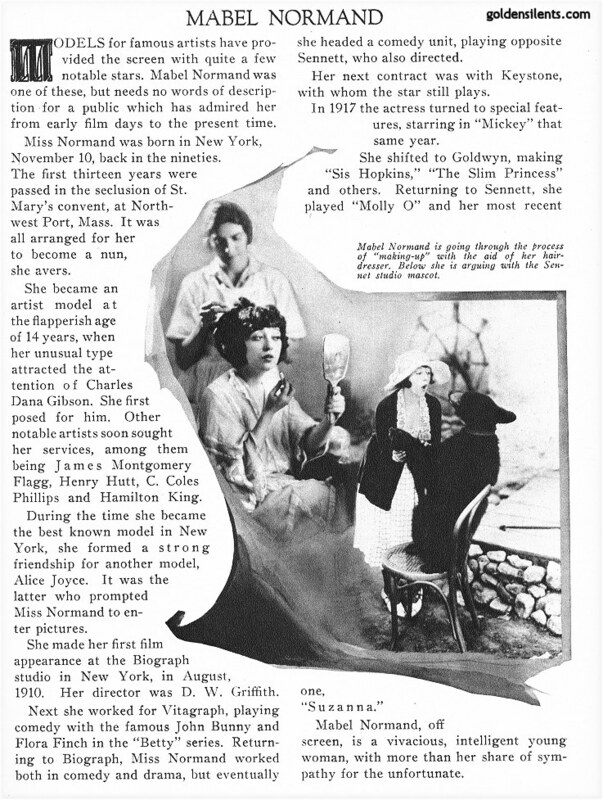 She debuted in silent films with the Vitagraph Studio in 1910, making one and two reelers. 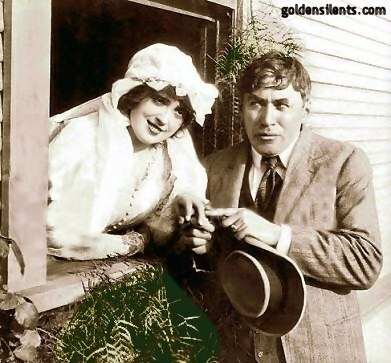 By 1912 she was Mack Sennett's best known female performer in his film comedies at Keystone Studios, and the two fell in love, though they never married. 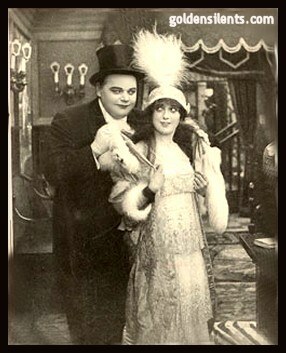 The only marriage for Mabel came in 1926, to actor Lew Cody. 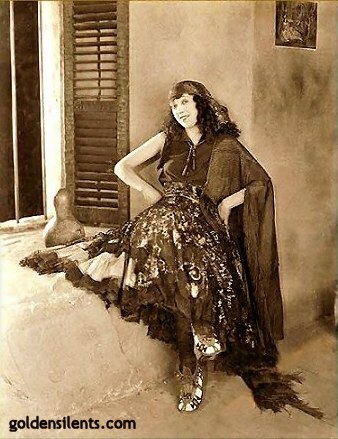 Mabel Normand certainly had her share and these sheets always sold well.